The Houston University women’s team put together a superb first session of the 2018 American Athletic Conference Championships while the men from East Carolina University posted strong marks as well. The session started out with the women’s 800 free relay with Houston’s quartet of Mykenzie Leehy, Ksenia Yuskova, Samantha Medlin and Zarena Brown nabbing the win in a quick time of 7:06.86, which was good enough to set a new meet and pool record. Connecticut and East Carolina tied for second in a time of 7:16.06. Cincinnati took the men’s 800 free relay with their assembly of Justin Crew, Johannes Kabelka, Din Selmanovic and Tobias Van Dyke who produced a 6:27.32 for the win. Taking second was Southern Methodist University in a 6:29.71 while Connecticut University took third in a 6:32.16. 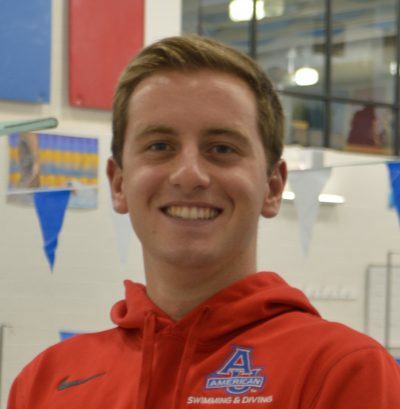 Bryce Klein out of SMU took the men’s one-meter diving event with a score of 343.65 while Cincinnati’s Mitchell Godard took second with his score of 296.40. In the women’s three-meter competition Houston’s Lauren Burrell took the win with an impressive score of 287.45. The SMU women took the win in the 200 medley relay by putting together a time of 1:38.56 which cracked the old pool record of 1:42.47 set this year by Missouri. The ECU men also eclipsed a pool record belonging to Missouri in the 200 medley relay by posting a 1:27.78 in the event ahead of SMU who touched in 1:28.23. Tomorrow’s action beings with the preliminaries which get underway at 10 a.m. CT.